This sure is a good idea: Individual eyelashes with points on both ends.This way it does not matter how you pick the eyelash with the tweezers it is almost always positioned 'right' on them without having to fumble to get the right end. …. 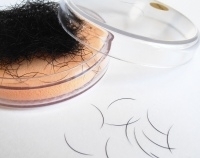 And since one cannot see where they merge with the natural eyelashes the application produces better results! No fumbling, no discernable merging - this allows for a professional application in no time at all. They are available in the C Curl form with a length of 8—14 mm with a choice of 0.15 mm or 0,20 mm thickness. One box contains 2500 pieces. The box comes with a vinyl pad for convenience in removal. What is the difference between J, B, C, and D eyelashes? 2-TIP-Lashes with points at either end. 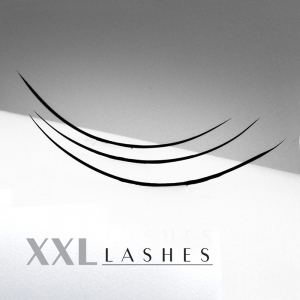 For optimal lasting power and adhesion the extensions must have a sweep that is closest to the natural eyelash so that there is enough area to stick them, the lack of which causes for eyelashes to stick with each other greatly shortening the duration that the application lasts for. 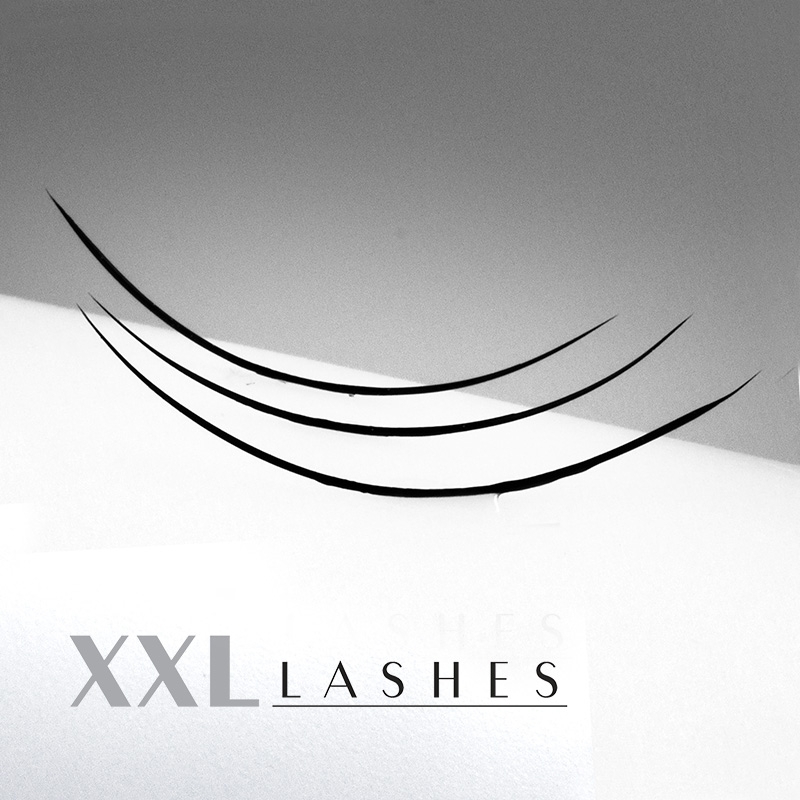 XXL Lashes application tip: it is easier to work if the glue is placed in in a glue ring.